TamoSoft is the company that created TamoGraph wireless software tool that allows network consultants to conduct site survey using active and passive type of approach or even router on the stick type of method. When to use this wifi survey software? The software can be used for pre-deployment use cases, post deployment, and regular ongoing basis. Network Consultants such as NetworkConsultant.net or any other similar types of consulting companies. 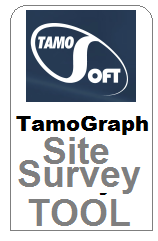 TamoSoft offers 2 version of TamoGraph Pro and Standard both versions are relatively inexpensive and a lot more affordable in comparison to other wifi site survey tools. Software can be used to conduct passive site survey and active site survey as well as before deployment site survey, in combination with Spectrum Analysis. However for best use it's best to do wifi site survey seperately from spectrum analysis and not at the same time. Another cool feature I like is the picture taking feature along the path as you walk with the comptuer and use the mouse to click on the map, you can also have the program take picture and even use voice recognition to give software command to do something, such as taking picture. I tested out the software myself, and I can confidently say that it works. They even hook you up with the free throughput test software that helps you measure the throughput vs using simply something like iperf. Although voice recognition is not exactly 100% accurate but still software combines many features together and allows you to see coverage area, noise to interference ration and other useful data that is an absolute must to see. To learn how to use the software you must read the manual, which explains lots of details about specific features and uses cases, however there is lack of video tutorials about how to actually use the software. TamoGraph Support is on point and the sales rep resonds within 48 hours period. Works with major usb adapters across 2.4 Ghz frequencies and 5.2 Ghz. Demo Version is available but does not generate .pdf, you must buy the full version to get the full reporting, but at the same time it does give you chance to try out multiple features. and C for training material availability. Although TamoGraph gets a C for not having enough video tutorials that explain how to use the software, external training is available from Rome Wells, himself or any of his Binary Fusion consultants. Binary Fusion Network Consultants can help your system admins gets trained for how to use this TamoGraph software and train your network adminstrators or it staff on how to do the wifi site survey. Trainer can provide online tutoring services to your company. To hire a wifi trainer visit this link. Don't want to get trained and want to get wifi site survey done for your company? Looking for Network Consulting WIFI site survey services? 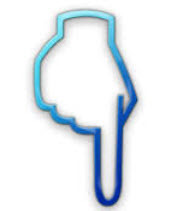 Where we can conduct for you on site survey on site in tri-state area of CT-NY and NJ? For any other areas, feel free to email info@networkconsultant.net where we can connect you with reputable partner. Happen to be interested in passing your next wifi, IoT in Motion, cloud, or cyber security job interview? Find out how to prepare for your job interview with Binary Fusion's help. Get trained 1 on1 or locally or online. Happen to be WIFI geek and also a math geek? Become an independent math tutor teach both computer related subjects and math. Want to become Binary Fusion and teach others WIFI and Math and live in Tri-State area of CT NY or NJ? If so here is how you can become a tutor, teach math and WIFI and also get trained by Binary Fusion in Metropolitan Manhattan area and near by counties of Westchester, Fairfield, New Haven and Bergen. Want to not be Binary Fusion consultant and still teach math? If so find out how here for how to become independent math tutor and make money teaching students math.